Marchand Petit sponsor Judie Tzuke coming to Dartmouth! 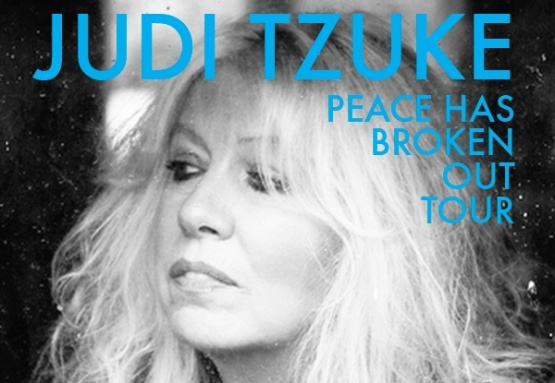 The Flavel Arts Centre is delighted to be playing host to the well-known songstress Judie Tzuke on Sunday 12th November at 8pm, as part of her ‘Peace has Broken Out’ tour. Judie is one of the UK’s finest singer/songwriters and is known all over the world for her timeless song ‘Stay with Me ‘Til Dawn’ and also for producing many top 10 albums, including the revered classic ‘Welcome to the Cruise’. She has appeared live on three Top of the Pops and supported Elton John on his three month tour of USA during which she played to huge audiences, including 450,000 people in New York's Central Park. Over the years she has written songs for many famous names including Gareth Gates, Alex Parks and Alesha and her songs have been covered and recorded by a wide range of artists including Elaine Page and The Swingle Singers. Her exquisite live shows, often accompanied by her two daughters, have an intimate quality and feature old favourites, new songs and many anecdotes from across her life and career. Her voice has lost none of its cool, plaintive appeal and has stood the test of time to be still an instrument of icy allure.